Last edited by joe_denilson; 03/02/2019 at 1:44 PM. Last edited by joe_denilson; 03/02/2019 at 3:39 PM. Last edited by joe_denilson; 09/02/2019 at 3:11 PM. Could the Peake Villa/Westport game be in doubt, Westtport Cooaght Cup game was postponed yesterday, was their talk 1 of the players with susected meningitis, that lad had died a Adam Mulchrone only 21, RIP Adam and symapthyes to his family and friends and all at Westport Utd. Last edited by joe_denilson; 12/02/2019 at 4:07 PM. No harm for Sheriff to leave the pale for once. Peake Villa 0 - 0 Westport Utd. Last edited by the 12 th man; 18/02/2019 at 8:02 AM. Would I be right in saying all eight teams remaining go into the draw for the FAI Senior Cup round 1? Or is it the last four? I'm not doubting that shearer but how good is your memory!! I think it's the last 8 from the Intermediate Cup and last 4 from Junior Cup that qualify for the FAI Cup. 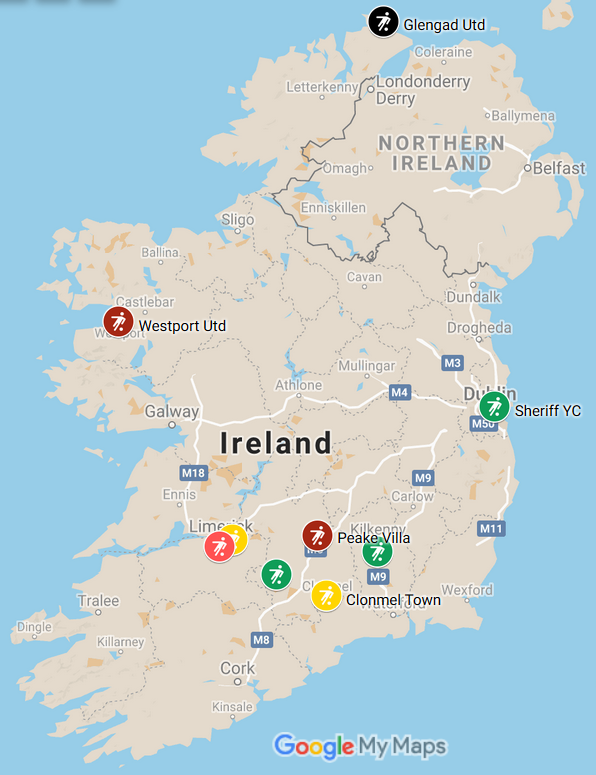 I've doubly checked the last two years and as I thought, it's the last 4 from the Junior and last 16 from the Intermediate that go into the preliminary round of the FAI Senior Cup. 4 of those 20 get a bye into the first round.